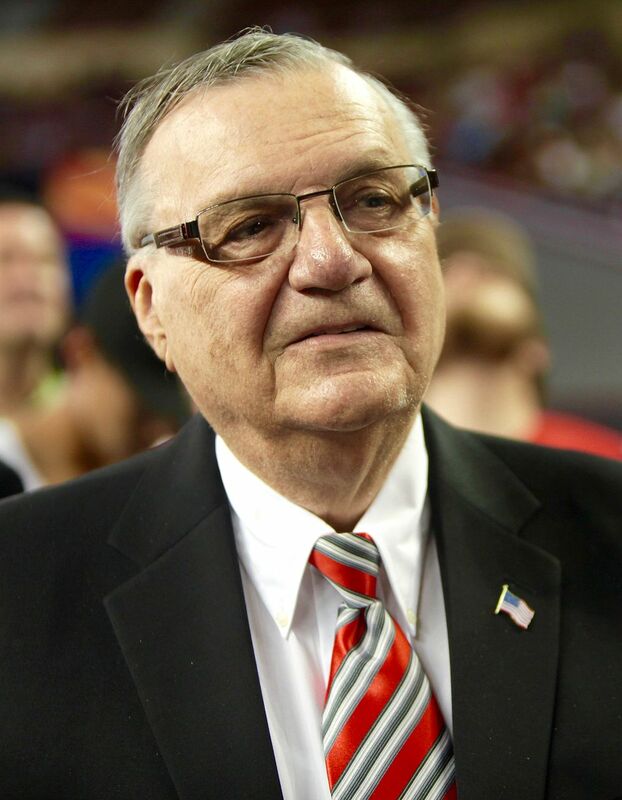 PHOENIX (CN) – Attorneys for former Maricopa County Sheriff Joe Arpaio convinced a federal judge Wednesday afternoon to push back a criminal contempt trial until the summer, after his lead counsel withdrew from the case last week. Arpaio, who served as Maricopa County sheriff for six terms, faces one count of misdemeanor criminal contempt over his failure to stop conducting immigration patrols targeting Latinos as ordered by a federal judge. He faces six months in jail if convicted. The 2011 order stems from a racial-profiling class action accusing Arpaio and his deputies of targeting Latinos during traffic stops. Arpaio was also found in civil contempt for his part in ignoring the order. Arpaio’s former criminal defense attorney, Mel McDonald, filed an application with the court to withdraw from the case earlier this month. The application, which came just weeks before the April 25 trial start, was granted last week in a closed hearing with U.S. District Judge Susan Bolton. The withdrawal appeared to hinge on a motion filed by Mark Goldman, another attorney for Arpaio, who joined the case about a month ago. McDonald is a partner at Jones, Skelton & Hochuli, whose attorneys also represented Arpaio in the civil case. Attorney Dennis Wilenchik joins Goldman in representing Arpaio. On Wednesday afternoon, Wilenchik asked Bolton to grant the new attorneys a continuance to give them time to review all the documents in the two cases. “We just literally got involved in this case and the first thing that we did is try to spend all evening and look at what we could,” Wilenchik said. He also cited McDonald’s withdrawal as a further reason to delay the trial. “Mr. McDonald withdrew for some reasons, not being critical of anything he did or didn’t do,” Wilenchik told the court. Wilenchik described his replacement of McDonald as a “Herculean” effort. Bolton granted the motion to give the new attorneys time to prepare. It was not Arpaio’s fault that McDonald withdrew, Bolton continued. “While I’m not happy about it, I don’t think it’s fair for the defense” to put Arpaio in the position where all his attorneys have only been on the case for a few weeks, she said. Bolton ordered Arpaio’s counsel to confer with attorneys from the U.S. Department of Justice to plan a new trial date in June or July. During the hearing, Bolton also denied the defense’s motion for a stay in the proceedings until the Ninth Circuit rules on a request to recuse the judge overseeing the civil case and to vacate his findings against Arpaio for civil contempt.